We recently noted that the old Manuscript Browser application, which lives at http://chs75.harvard.edu was going away. That application, written in 2007, had fallen behind the times. There is a new Manuscript Browser online at http://folio.furman.edu/rumba. A user can request a particular folio (by number and side, “recto” or “verso”), or a particular manuscript to see all available images of that manuscript. A user can request a particular passage of the Iliad (by Book and Line), and see every manuscript folio on which that line appears, and thence to go a particular folio and its images. A user can request a particular passage of the Iliad (by Book and Line) and a particular manuscript, to go to the page where that line appears. This new application represents another experiment in our project of rapid development of end-user applications and tools based on an RDF graph of canonical citations. People interested in this kind of thing can do “view source” on any page to see the underlying data, which is simply XML output of SparQL queries. Our embrace of RDF for structuring and organizing the HMT’s data was greatly accelerated thanks to the Linked Ancient World Data Initiative [LAWDI], and their NEH-funded workshop held at ISAW in 2012; we are extremely grateful to the NEH and to Sebastian Heath, Tom Elliott, Hugh Cayless, Sean Gillies, and the other organizers, faculty, and participants in that event. It led directly to one of the most exciting and productive years in the life of the Homer Multitext. The Heritage of Egypt was launched in 2008 and is the first publication relating to the history, archaeology, and legacy of Egypt that is edited, produced, and owned in Egypt; this gives the publication a unique perspective on the complex histories of ancient and modern Egypt. The Heritage of Egypt is published three times a year, in January, May, and September. 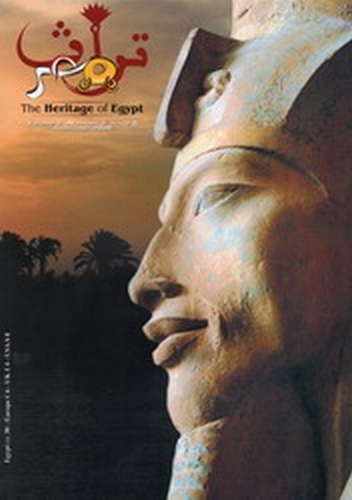 The magazine reaches thousands of readers through direct sales in Egypt and the provision of copies to archaeological societies in the United Kingdom. For acquiring individual paper copies of the magazine and for a Table of Contents of each issue, please see the website of the publisher, Al-Hadara Publishing. If you would like to get a subscription, here's a subscription form (in PDF). Editor of the magazine is Amgad Refai. The magazine accepts contributions from authors who are suitably academically qualified in their field. Trypillian Civilization is an archaeological name for the Neolithic culture that existed on the territory of present-day Ukraine. This culture is also known as Cucuteni on the territory of Romania. The real self-name for this culture is not established or agreed between scientists, but some researchers consider this culture to be the ancient Aratta. Trypillian culture was discovered in the year 1897 near the small village of Trypillia south of Kyiv, Ukraine) by archaeologist Vikenty Khvoika. He named this new and unknown to the world culture - The Trypillian Civilization. From that moment on, the territory of Ukraine became a homeland to one of the most ancient civilizations - The Trypillian Civilization, which flourished on her territory between approximately 8,000 to 5,000 years back in history. Independently this culture was discovered on the territory of Romania near village Cucuteni by Teodor T. Burada, and in year 1889 it was presented on conference in Paris. For our purposes we are going to use name Trypillia-Cucuteni as internationally recognized term for this culture. When the subject of the article is about studies related to the Ukrainian territory only it is accepted to use name Trypillia for short, which is also generally accepted among Ukrainian researches. The main purpose of this Internet site is to educate the world about The Trypillian Civilization and to stimulate multidisciplinary study of the origin of Trypillian people through the collections of articles, books, reproductions of artifacts, videos, lists of references, numerous links and other educational material. Welcome to the studies and the discovery of the Trypillian Civilization! To build an aimed and selected database of relevant monuments pertaining to cultural influences of Egyptian civilization in the Croatian historical area based on the institutional and private collections in Croatia. In initial phase of project development, the plan is to process the Egyptological monuments kept in the Egyptian, Ancient and Numismatic collections of the Archaeological Museum in Zagreb (AMZ). Simultaneously with processing the monuments from the AMZ, we plan to process all the artifacts kept in other museum collections in Croatia and to introduce the results into the database. After processing the collections of museum institutions in Zagreb (the Mimara Museum in Zagreb, the Museum of Contemporary Art - the Benko Horvat Collection, the Museum of the City of Zagreb), we plan to process scientifically the artifacts kept in museums outside of Zagreb (the Dubrovnik museums - the Archaeological Museum of Dubrovnik, the Archaelogical Museum of Split, the Archaeological Museum of Istria in Pula, the Archaeological Museum of Zadar, the Museum of Slavonia in Osijek, the Museum of the City of Varaždin, and variety of town and regional museums with minor collections) that have not yet been interpreted and processed, and to introduce the results into the database. There are more than 3100 artifacts pertaining to the Egyptian civilization kept in the Archaological Museum of Zagreb, important cultural and museum institution of the city of Zagreb and Croatia. The bulk of collection consists of the Egyptian collection by the Austrian undermarshall Franz Koller that was bought for the National Museum in Zagreb in 1868. It comprises about 2300 artifacts of Egyptian origin. Next to the Egyptian collection as a main part of the Egyptological inventory of the Archaeological Museum of Zagreb, there are many other artifacts related to the history of Egypt kept in the museum. There are about 500 pieces of Ptolemaic coinage, and the coins from the Roman era minted in Alexandria kept in the Numismatic collection. The Antique collection is comprised of the statues, statuettes and epigraphic monuments related to the Egyptian cults of Greco-Roman era, originating from the Mediterranean or from the Croatian historical area. During the last 150 years, the collections have been supplemented by a variety of smaller or larger buys and donations by private individuals, so the number of artifacts increases constantly. There are also smaller or larger collections of Egyptian origin in other museums in Croatia. The most important collections according to the number of artifacts are to be found in the Archaeological Museum of Dubrovnik - the Dubrovnik museums (197), the Archaeological Museum of Split (84), the Mimara Museum in Zagreb (503), the Archaeological Museum of Istria in Pula (38), the Collection of the St. Euphemia monastery in Kampor on the island of Rab (14), the Archaological collection of The Museum of Contemporary Art in Zagreb (11), the Archaeological Museum of Zadar (11), The Museum of Slavonia in Osijek (10), the Museum of the City of Varaždin (6), the Franciscan monastery in Sinj (6), and in about dozen more town and regional museums with only one or two artifacts. According to our knowledge, there are 4031 artifacts in museum institutions and almost 1000 artifacts in private collections in Croatia. The data on each collection are published in the book entitled Egypt in Croatia by Mladen Tomorad (Barbat, Zagreb, 2003). Izgraditi ciljanu i selekcioniranu bazu relevantne spomeničke građe, vezane uz kulturološke utjecaje egipatske civilizacije na hrvatskom povijesnom prostoru, na temelju institucionalnih i privatnih zbirki u Hrvatskoj. U prvoj inicijalnoj i razvojnoj fazi projekta, u planu je obrada egiptoloških spomenika koji se čuvaju u Egipatskoj, Antičkoj i Numizmatičkoj zbirci Arheološkog muzeja u Zagrebu (AMZ). Paralelno s obradom predmeta u AMZ planiramo obraditi i unijeti u bazu i sve obrađene predmete koji se čuvaju u drugim muzejskim zbirkama u Hrvatskoj. Nakon obrade zbirki muzejskih institucija u Zagrebu (Muzej Mimara u Zagrebu, Muzej suvremene umjetnosti - zbirka Benka Horvata, Muzej grada Zagreba), planiramo znastvenu obradu i unos onih predmeta koji do sada nisu interpretirani i obrađeni, a čuvaju se u muzejima izvan Zagreba (Dubrovački muzeji - Arheološki muzej Dubrovnik, Arheološki muzej u Splitu, Arheološki muzej Istre u Puli, Arheološki muzej u Zadru, Muzej Slavonije u Osijeku, Gradski muzej Varaždin i niz gradskih i područnih muzeja vrlo malim zbirkama). U Arheološkom muzeju u Zagrebu, važnoj kulturnoj muzejskoj instituciji grada Zagreba i Hrvatske, čuva se više od 3100 predmeta vezanih uz egipatsku civilizaciju. Glavninu zbirke čini egipatska zbirka austrijskog podmaršala Franza Kollera, koja je otkupljena za Narodni muzej u Zagrebu 1868. g. Ona se sastoji od oko 2300 predmeta egipatske provenijencije. Uz Egipatsku zbirku koja čini okosnicu egiptološkog fundusa Arheološkog muzeja u Zagrebu, u muzeju se danas čuva čitav niz drugih predmeta koji su svojom poviješću vezani uz prošlost Egipta. U Numizmatičkoj zbirci se tako čuva oko 500 primjeraka novca ptolomejskih vladara, zatim primjeraka novca rimskog razdoblja podrijetlom iz kovnice u Aleksandriji. Antička zbirka sadrži kipove, kipiće i epigrafske spomenike vezane uz egipatske kultove grčko-rimskog razdoblja podrijetlom s prostora Sredozemlja ili s prostora Hrvatske. Tijekom proteklih 150 godina zbirke su popunjavane čitavim nizom većih i manjih otkupa, darivanjem privatnih osoba pa se broj predmeta danas neprekidno povećava. U ostalim muzejima u Hrvatskoj čuvaju se veće ili manje zbirke egipatske provenijencije. Po broju predmeta najvažnije su zbirke Muzeja Mimara u Zagrebu (503), Arheološkog muzeja Dubrovnik u sklopu Dubrovačkih muzeja (197), Arheološkog muzeja u Splitu (84), Arheološkog muzeja Istre u Puli (38), samostana sv. Eufemije u Kamporu na Rabu (14), arheološka zbirka Muzeja suvremene umjetnosti u Zagrebu (11), Arheološkog muzej u Zadru (11), Muzeja Slavonije u Osijeku (10), Gradskog muzeja Varaždin (6), Franjevačkog samostana u Sinju (6) i još desetak gradskih muzejskih i područnih muzeja u kojima se čuva svega nekoliko predmeta. Prema našim saznanjima u Hrvatskoj se nalazi 4031 predmet u muzejskim institucijama i gotovo 1000 predmeta u privatnim zbirkama. Podaci o pojedinim zbirkama objavljeni su u knjizi Egipat u Hrvatskoj, autor Mladen Tomorad (Barbat, Zagreb 2003.). Nekoliko sličnih projekata je u tijeku u inozemstvu, poput EMCP - Egyptologica. Museum Collection Project (voditelj: Gerhard H. de Knegt), Totenbuch project (voditelj: dr. Irmtraut Munro, Ägyptologisches Seminar der Universität Bonn) te nekoliko projekata pod okriljem CCER-a (Centre for Computer - aided Egyptological Research, Utrecht University) npr. Multilingual index of Egyptian treasures cd-roms, Prosopographia Aegypti, Links to the museums with Egyptian collections, što hrvatski projekt izravno povezuje sa suvremenim svjetskim kretanjima u egiptologiji. Početkom 2003. g. započeo je s radom The Global Egyptian Museum pod pokroviteljstvom Centra za kompjutorska pomognuta egiptološka istraživanja (Centre for Computer-aided Egyptological Research CCER) s oko 6,600 predmeta, a predviđa se da će krajem 2004. godine Virtualni muzej obuhvatiti oko 17,500 predmeta. U projekt su trenutno uključeni najznačajnije muzejske zbirke u svijetu, a uključenjem u ovaj projekt Hrvatska bi mogla pokazati veliku kulturnu vrijednost predmeta koji se čuvaju u domaćim muzejskim institucijama. Osobita vrijednost projekta Croato-Aegyptica electronica također je u tome što je riječ i o pionirskom pothvatu koji ujedno smjera revidirati i korigirati postojeće podatke objavljene u djelima kataloško-muzejskog karaktera domaćih i inozemnih autora, poput Šime Ljubića (Popis Arheološkog odjela Narodnog Zemaljskog Muzeja u Zagrebu, sv. I. - Egipatska sbirka, Zagreb 1889.) i Janine Monnet Saleh (Les antiquités égyptiennes de Zagreb. Catalogue raisonné des antiquités égyptiennes conservées au Musée Archéologique de Zagreb en Yougoslavie, Paris 1970.) koji i danas figuriraju kao relevantni. Baza podataka, dostupna kroz različite medije, kao završni proizvod projekta jamčit će tuzemnim i inozemnim znanstvenim istraživačima i kulturnim ustanovama cjeloviti uvid u bogatstvo hrvatskog egiptološkog materijala, nudeći pritom praktično i brzo pretraživanje čitavog fundusa i prikaz podataka primjereniji najširoj publici. We’re celebrating the release of the first issue of the new and expanded Bulletin of the American Schools of Oriental Research this month with free access to the ten most influential articles from BASOR’s long history. Just click the links below to go through and read the articles, which are available for free until July 30. 10. ‘An MB II Orthostat Building at Tel Kabri, Israel’ by Yasur-Landau et al. from BASOR 367 (2012): 1-29. Go here to access it for free! 9. ‘The Early Alphabetic Inscriptions from Sinai and their Decipherment’ by W.F. Albright from BASOR 110 (1948) 6-22. Go here to access it for free! 8. ‘Peasants, Pastoralists, and “Pax Romana”: A Different View’ by S. Thomas Parker from BASOR 265 (1987) 35-51. Go here to access it for free! 7. ‘The Emergence of Orientalizing in Greek Art: Some Observations on the Interchange between Greeks and Phoenicians in the Eighth and Seventh Centuries B. C.’ by Glenn Markoe, BASOR 301 (1996) 47-67. Go here to access it for free! 6. ‘Egypt and Canaan during the Middle Bronze Age‘ by Manfred Bietak, BASOR 281 (1991): 27-72. Go here to access it for free! 5. ‘The Archaeology of the Family in Ancient Israel‘ By: Lawrence Stager, BASOR 260 (1985): 1-35. Go here to access it for free! 4. “Archaic Greeks in the Orient: Textual and Archaeological Evidence” By: Wolf-Dietrich Niemeier, BASOR 322 (2001): 11-32. Go here to access it for free! 3. “Landscape and Settlement in the Neo-Assyrian Empire” by T. J. Wilkinson et al., BASOR 340 (2005): 23-56. Go here to access it for free! 2. “An Archaeological Contribution to the Early Iron Age Chronological Debate: Alternative Chronologies for Phoenicia and Their Effects on the Levant, Cyprus, and Greece” by Ayelet Gilboa and Ilan Sharon, BASOR 332 (2003): 7-80. Go here to access it for free! 1. “A New Chronological Framework for Iron Age Copper Production at Timna (Israel)” by Erez Ben-Yosef et al. BASOR 367 (2012): 31-71. Go here to access it for free! La Mésopotamie entre 2000 à 1600 av. J.-C. a vu une véritable explosion dans l'usage de l'écrit, qui s'est traduite par la multiplication des archives et la transformation de leur nature. La civilisation babylonienne de cette période nous a ainsi fourni une des documentations les plus riches et les plus variées de toute l'Antiquité. Il s'agit d'une source d'un intérêt considérable pour l'ensemble des sciences humaines (histoire, histoire du droit, anthropologie, sciences de l'information et de la communication, etc. ), mais sous-exploitée faute d'instruments de travail adéquats. Les archives paléo-babyloniennes représentent plus de 31 000 textes dispersés dans près de 1200 publications. Ajoutons que le nombre de textes s'est accru considérablement durant les trois dernières décennies : en 1979, lorsque le tome 3 du Répertoire géographique des Textes Cunéiformes a été achevé, on disposait de 17 332 textes, soit 56 % du corpus actuel ! Cette disproportion est encore plus flagrante pour les textes de Mari : 3465 textes avaient été intégralement publiés en 1979, quand parut le répertoire ARMT XVI/1, contre 8666 aujourd'hui, soit seulement 40%. Précisément en raison de cette abondance de textes, personne ne s'était attelé à leur simple recensement depuis très longtemps. Il n'existe aucun catalogue des documents et la bibliographie est dispersée et difficile d'accès. Les très utiles instruments que sont la Keilschrift Bibliographie d'Orientalia et le Register de Archiv für Orientforschung ne la balisent que partiellement (et avec seulement une consultation par an, sur volumes imprimés). Beaucoup de textes sont seulement connus par des copies et n'ont jamais été édités. Par ailleurs, une bonne part de ces tablettes ont été retrouvées depuis un siècle et demi lors de fouilles illicites et se trouvent en outre dispersées de par le monde entre de nombreuses collections, publiques ou privées : non seulement leur contexte archéologique est inconnu mais l'unité des archives auxqelles elles appartenaient doit en outre être reconstituée. La création d'un corpus numérique des documents d'archives paléo-babyloniens devenait urgent et le recours à l'informatique pour traiter et exploiter ces données s'est imposé d'emblée. Among the volumes of the venerable series Patrologia Orientalis (see a list of online volumes here) are synaxarion texts in Arabic, Armenian, and Gǝʿǝz. The synaxarion — the collection of shorter or longer notices in commemoration of saints for each day of the church calendar — as it appears in different language-traditions offers both language students and students of the saints a host of reading-material: there are mountains of texts for a great many saints common to all the language-traditions, and these texts may be fruitfully compared with each other philologically, literarily, and otherwise, as well as saints particular to each language-tradition. (For further comparison, one might turn to the Byzantine Synaxarium ecclesiae constantinopolitanum, edited by Delehaye.) To make reference easier to these synaxarion texts from PO, all of which are given in the original language and with a French translation, here is a list according to month and PO volume, with links to the appropriate books at archive.org, where available. The month names are given according to the appropriate language and preceded by their number; for the correspondences of the months, see here from BHO. For more on eastern Christian hagiography, in addition to the volumes mentioned here, see my tagged bibliography, still in progress, here. A previously unknown album of drawings by Amelia Edwards has recently been identified in the Archive. Erronously catalogued as a notebook belonging to F. Ll. Griffith when it was accessioned over 70 years ago, it was only when this group of documents was being assessed recently for another project that this particular gem came to light. The album contains a title-page, 26 pencil sketches and one watercolour, created by Miss Edwards during her one and only visit to Egypt in 1873-4. Some of these sketches were later used in her publication A Thousand Miles up the Nile, published in 1877. Amelia founded the Egypt Exploration Fund in 1882, and dedicated the rest of her life raising funds for British excavations in Egypt and raising awareness for the need to preserve its ancient monuments for future generations. This sketchbook now resides with the other Edwards papers in the Archive which include a further three albums containing sketches made in Egypt, the Dolomites and miscellanea. Current Swedish Archaeology (CSA) is a peer-reviewed journal focusing primarily on the interpretation of the archaeological record and on archaeology as social practice. 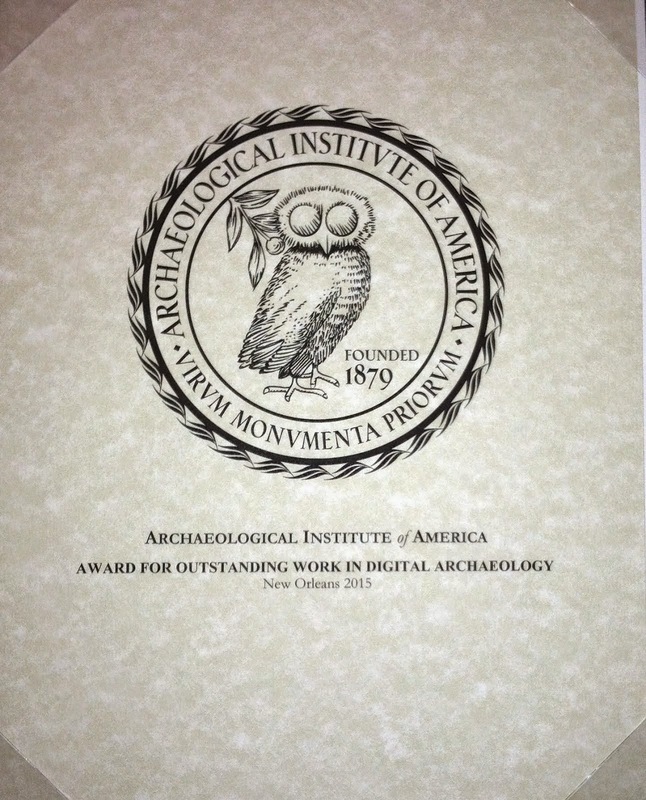 It has the highest ranking on the ERIH list (B) among Swedish Journals of Archaeology. The aim of the journal is to make the findings and discussions in Swedish archaeology accessible to non-Swedish speaking readers in and outside of Scandinavia, and to promote contact and debate between Swedish archaeology and the larger international field. The first volume of CSA was published in 1993. It is published by the Swedish Archaeological Society, and with support from the Swedish Research Council. To guarantee the high quality of CSA, the editors are nominated by the board of the Swedish Archaeological Society, and are supported by an editorial advisory board consisting of leading scholars in different archaeological fields. CSA is published in one annual volume containing 10-15 articles. Each volume contains one keynote article debating a current theme in Swedish archaeology, followed by several commentaries. Each volume also includes a number of peer-reviewed articles from a wide range of topics in Swedish archaeology, reviews of recent book releases, and notices of current happenings in Swedish archaeology. CSA is produced with support from the Swedish Research Council and in collaboration with the publisher Nordic Academic Press, the graphic designer Anders Gutehall, and the distributor Förlagssystem. Les publications des membres de l’UMR sont répertoriées dans les rapports quadriennaux. Ces références témoignent de l’ensemble de nos résultats, monographies comme synthèses, individuelles ou collectives, souvent portées par des collaborations inter-organismes ou internationales. Par ailleurs le programme ArScAn-Archéologie du Bassin parisien auquel participent 6 équipes de l’UMR édite régulièrement un rapport d’activité. Il est diffusé sous forme papier aux organismes partenaires et aux membres du programme afin de faciliter la circulation de l’information. Enfin ArScAn-Afrique a créé une revue "Afrique, Archéologie & Arts" qui établit un lien entre les archéologues français et africains. On trouvera en ligne la table des matières des premiers numéros. Verres de l’Antiquité gréco-romaine. Chronique bibliographique / Glass from Graeco-Roman Antiquity. Bibliographic Chronicle. A Alger, Monsieur Hassen KHEZNADJI met à disposition sa bibliothèque ; à Alger toujours, Monsieur Mustapha BACHETARZI (fmbachetarzi@yahoo.fr), scanne les ouvrages, et à Aurillac, Alain SPENATTO ( alainspenatto@orange.fr) ou spenatto@algerie-ancienne.com termine le travail.